The College of Engineering and Information Technology at the University of Arkansas at Little Rock conducts a variety of outreach programs throughout the year designed to motivate students in grades six through twelve to pursue science, technology, engineering, and mathematics (STEM) degrees. Each summer EIT hosts a variety of residential summer programs. These programs are aimed to increase the number of students earning STEM degrees in Arkansas through exposure to hands-on projects, off campus excursions, and interaction with industry. In addition, each program includes counseling and advising sessions to assist students in preparing for college. The programs feature academic and lab sessions on various STEM disciplines. For questions about any of our summer programs contact Ashley Henry-Saorrono at alhenry@ualr.edu or 501-569-8597. The PCDEP was formed in 2007 primarily to increase the number of historically underrepresented students in grades six through twelve prepared to pursue engineering degrees. However, membership in the program is not restricted to only underrepresented students. The program is implemented through the formation of engineering clubs which are required to meet at least once a month where activities and exercises are conducted that are unique to the needs of the students. Sponsors receive a merit-based stipend for sponsoring their PCDEP engineering club. The program’s signature event is the Engineering Olympics. The Engineering Olympics is designed to introduce students to engineering through competitive team events and exercises. All participating schools receive all materials necessary to compete at no charge. There is a nominal fee (usually $5 per student) to participate. This event is typically held in the spring. The 2019 Engineering Olympics: Junior Division (grades 6th-8th) Competition will be March 2. Registration is open now! Please review the below rules for more information and registration forms. For more information about the 2019 Engineering Olympics, please contact Ashley Henry-Saorrono at (501) 569-8597. The Sprint Round (40 minutes) consists of 30 problems. This round tests accuracy, with time being such that only the most capable students will complete all of the problems. Calculators are not permitted. Students can compete as a team or as individuals. The Target Round (approximately 30 minutes) consists of eight problems presented to competitors in four pairs (6 minutes per pair). This round features multi‑step problems that engage Mathletes in mathematical reasoning and problem-solving processes. Problems assume the use of calculators. Students can compete as a team or as individuals. The Team Round (20 minutes) consists of 10 problems that team members work together to solve. Team member interaction is permitted and encouraged. Problems assume the use of calculators. Only teams can compete – no individuals. The Countdown Round is a fast-paced, oral competition for top-scoring individuals (based on scores in the Sprint and Target Rounds). In this round, pairs of Mathletes compete against each other and the clock to solve problems. Calculators are not permitted. EIT partners with the Central Arkansas Chapter of the National Society of Professional Engineers to host the Central Arkansas Chapter Competition of MATHCOUNTS. Area teams and individuals compete at the UA Little Rock campus, and the top competitors advance to the state competition. The winners of the state competition will represent Arkansas at the national competition in Washington, DC. 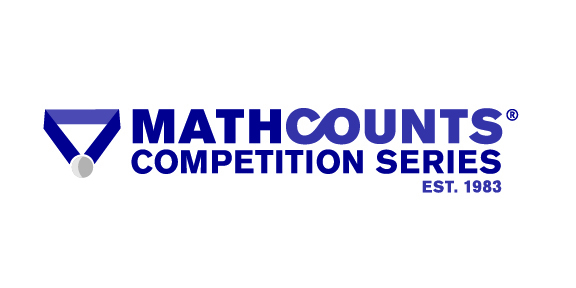 The 2019 Central Arkansas Chapter MATHCOUNTS Competition will take place on February 16. The 2019 Arkansas State Competition will be March 9. If you are interested in attending, please download the application.. In order for your application to be considered for the program, we will need the all the required documents faxed or mailed to our office. UALR hosts two parts of this four-part series designed to generate underrepresented student interest in engineering and technology. The Introduction to Engineering Seminar provides students with an overview of various engineering disciplines. In addition, students receive information about coursework needed to become an engineer and are afforded opportunities to talk with engineers about their work as engineers during this half day program. The Technical Seminar includes resume writing, interviewing skills, and college application sessions. In addition to tours of EIT labs, students participate in an engineering competition. For more information, please contact Vernard Henley at (501) 569-8203. BEST (Boosting Engineering Science and Technology) is a non-profit, volunteer-based organization whose mission is to inspire students to pursue careers in engineering, science, and technology through participation in a sports-like, science and engineering-based robotics competition. EIT will host its eighth BEST Robotics Tournament in 2017. There will be thirty-six (36) slots available to teams who desire to compete in this challenging, yet fun event. Teams are required to design and build a robot which must be able to accomplish certain tasks on a 24’ x 24’ competition area. In addition to robot performance, teams are judged based upon their engineering design notebook, team exhibit, marketing presentation, and other factors. The top teams from the Little Rock Hub will advance to the Regionals, which are held at the University of Arkansas at Fort Smith. For more information on this event, please visit the BEST Robotics Hub.